I have really enjoyed working on mixed media portraits. I can’t describe how fun it is to watch the “ladies” develope on the canvas. They start out as blank slates, no personality, no story. Then as their face takes shape it says something to me. I almost feel like they speak to me and tell me what their message is. Kind of corny maybe, but that’s how it feels. I don’t start these with a title or plan as to how their face will look. I draw the basic shape and then paint the face as I go. Sometimes they look a little sad, or deep in thought, or happy, or peaceful. They each have their own message, their own identity. It is very fulfilling watching them emerge before my eyes. I’m hooked! Here are my latest ones. 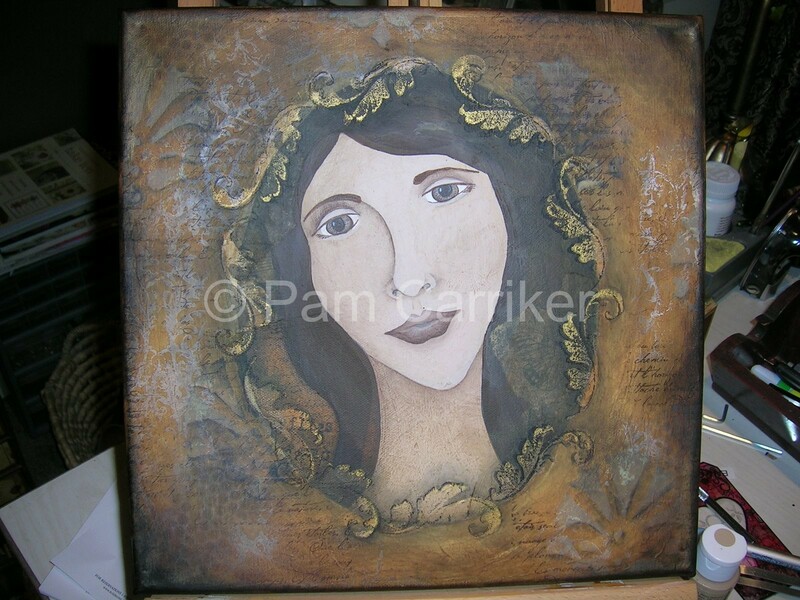 I just sold four mixed media portraits this past weekend on Etsy. I have decided to make a limited number of prints for each portrait. We’ll see how that goes. I do like how the prints turned out. I had them done at a print shop on acid free/archival quality paper. This way I can keep one for myself too. I have to admit it is a little sad to see my ladies go and much easier to part with them when I have a little reminder of my own. 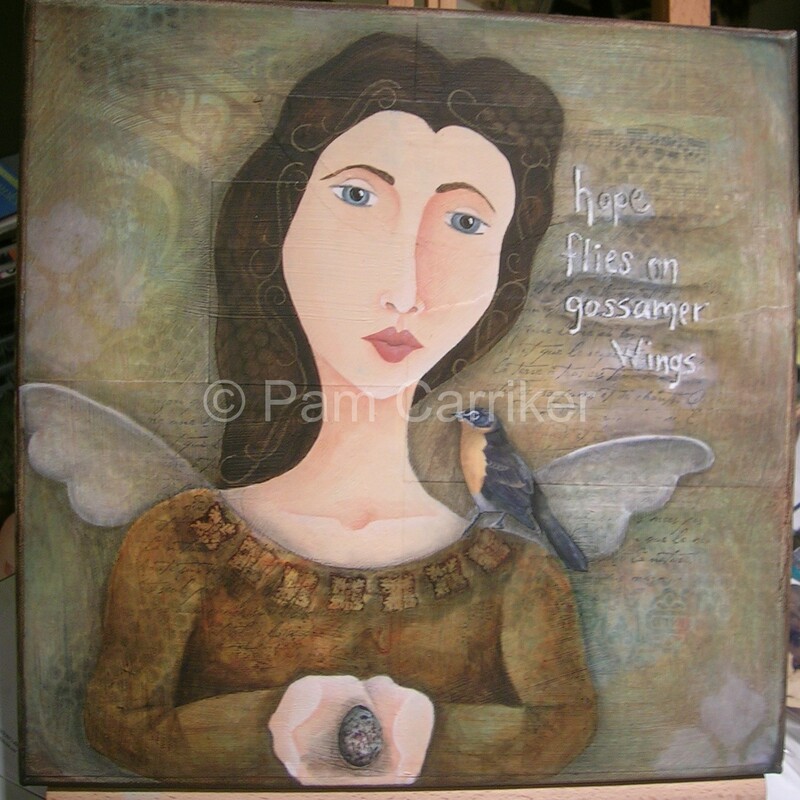 “A Mother’s Nature” will be going off to her new home this week. She is being given to a mom of a woman who is moving away. A fitting place for her and I’m glad. beautiful work, Pam 🙂 I love them both!